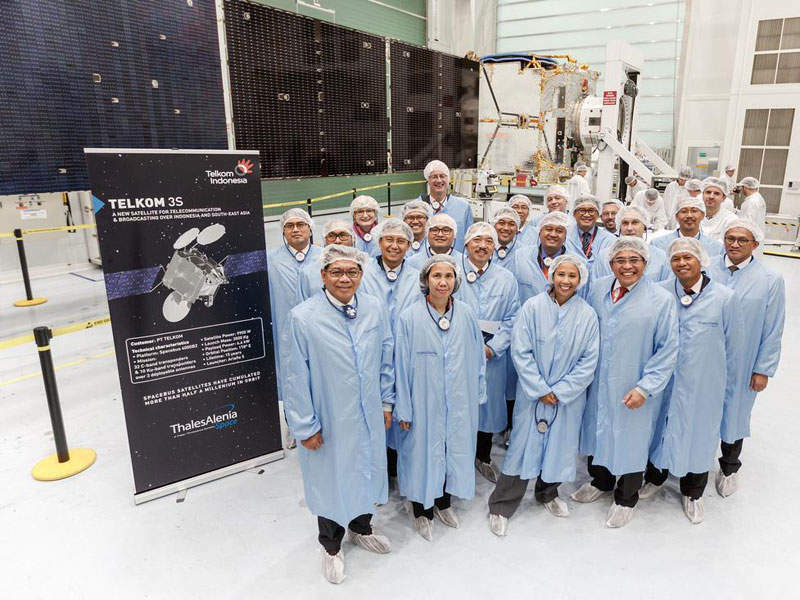 Telkom-3S satellite was launched on 14 February 2017. Image: courtesy of Thales Alenia Space/Master Image Programmes. The satellite provides high-definition television (HDTV) broadcasting, mobile and internet applications. Image: courtesy of Thales Alenia Space/Imag[IN]. The satellite has 24 C-band, eight extended C-band, and 10 Ku-band transponders. Image: courtesy of Thales Alenia Space/Alban Pichon. Telkom-3S, a geostationary communications satellite, was launched into the geostationary transfer orbit (GTO) from Guiana Space Centre in French Guiana in February 2017. Owned and operated by PT Telekomunikasi Indonesia TbK (Telkom Indonesia), the satellite is a replacement to Telkom-3 satellite, which was stranded in an unusable orbit after launch in August 2012. Telkom-3S is located at an 118° east orbital position and offers high-definition television (HDTV) broadcasting, mobile and internet applications covering Indonesia, Southeast Asia, and parts of Malaysia. The satellite construction and launch operations were completed with an estimated investment between $200 and $250m. Thales Alenia Space was awarded a $199m-worth contract to provide design, testing and in-orbit delivery of the Telkom-3S satellite in February 2014. The scope of the contract also includes providing early-orbit phase (LEOP) and in-orbit testing (IOT) services. 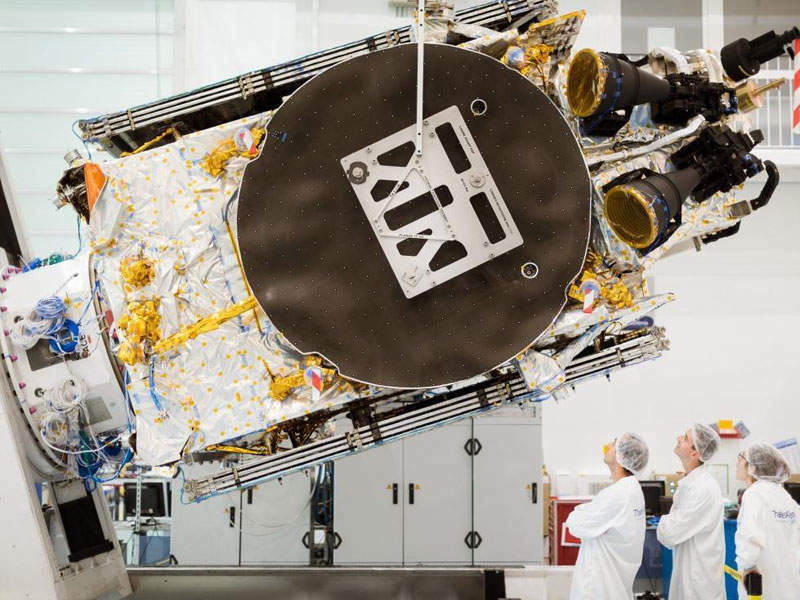 The satellite was built in Thales’ facilities located at Toulouse and Cannes in France. Based on Spacebus 4000B2 platform developed by Thales, the satellite is designed for a lifespan of 15 years. It has a length, height and width of 1.8m, 2.95m and 2.86m respectively, a launch mass of 3,350kg and payload power of 6.4kW. 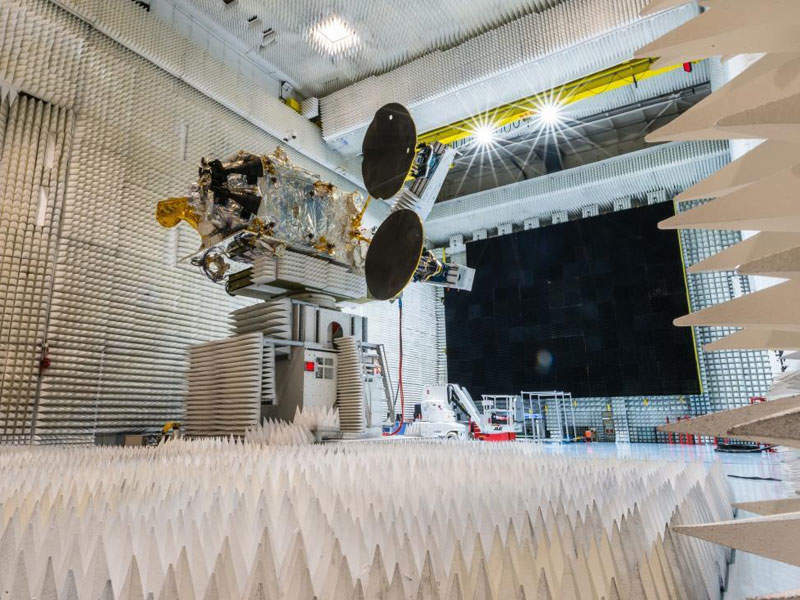 The satellite was shipped from Cannes to the launch site in Kourou, French Guiana, for performing pre-launch tests and was fuelled for lift-off in February 2017. The Telkom-3S satellite carries 42 transponders, including 24 C-band transponders, eight extended C-band transponders and 10 Ku-band transponders. The C-band transponders offer coverage for Indonesia and south-east Asia. The extended C-band beams cover Indonesia and parts of Malaysia, while the Ka-band transponders offer dedicated coverage of Indonesia. The satellite increases Telkom Indonesia’s broadcast capacity and also provides key services for businesses, the interconnection of mobile networks and Internet backbones. The Telkom-3S satellite launch operations were managed by Arianespace and the launcher was delivered by Airbus Safran Launchers. The satellite was launched on-board Ariane 5 designated flightVA235 along with SKY Brasil-1. The total mass of the 54.8m-high launcher at lift-off was 780t. The launch mission from lift-off to satellite separation was completed in 39 minutes and 43 seconds. The rocket lift-off was enabled with the ignition of main stage cryogenic engine and two solid-propellant boosters. The launcher initially climbed vertically for 13 seconds and then rotated towards the east. The fairing protecting the payload was jettisoned after 202 seconds. The trajectory of the launcher was controlled with the help of two on-board computers fixed in the Ariane 5 vehicle equipment bay (VEB). The computers optimised the trajectory in real-time and minimised propellant consumption after the completion of first part of the flight. The launch operations of the satellite were carried out from Guiana Space Centre’s launch complex three (ELA 3) located at Kourou, French Guiana. Kratos Defense and Security Solutions was contracted to provide Kratos’ satID® geolocation system with Kratos ISI to upgrade master control station (MCS) of Telkom in July 2015. The geolocation system supports the existing Telkom satellites Telkom-1 and Telkom-2, as well as the Telkom-3S satellite. Thales Alenia Space provided parts of the control centre, and trained engineers and technicians as part of Talcom-3S satellite development programme.